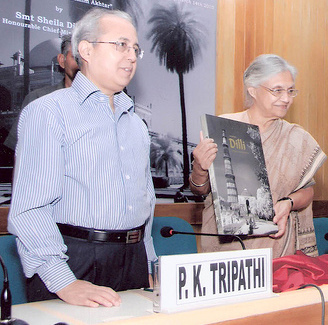 Sheila Dikshit’s right hand man and 1977 batch IAS Praveen K Tripathi will be Delhi’s new chief secretary. Tripathi who started his career as assistant commissioner in July 1979 in Kameng district of Arunachal Pradesh, became a close confidante of Delhi chief minister Sheila Dikshit when he was picked up as the principal secretary to CM in June 2006. Dikshit has now chosen Tripathi to head Delhi’s bureaucracy at a time when she receives flaks from PM-appointed Shunglu committee on Commonwealth Games’ extravaganza. Dikshit and her team of bureaucrats have however refuted the charges leveled against her government. Significantly, Tripathi too was engaged closely with the Games as he was the principal secretary in charge of information and publicity of the Commonwealth Games between December 2007 and July 2009. Some of Tripathi’s key postings included CEO of Delhi Jal Board and chairman of Delhi Tourism and Transportation Corporation. On a Central deputation, Tripathi also served as a joint secretary in information and broadcasting ministry. 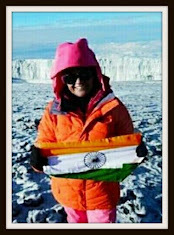 An MA in political science, Tripathi hails from Uttar Pradesh, and had earlier served in Arunachal Pradesh, Delhi and Andaman and Nicobar Islands.